Descriptions : Seo Blog Blogger Template is designed with concept of SEO in mind, so this template will boost your blog traffic. template comes with pre-installed SEO widgets. 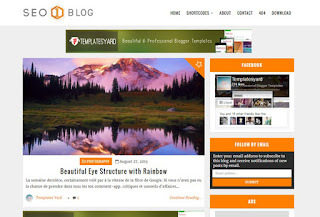 SEO blog template is responsive, mobile friendly, has easy layout, easy customization. this template can fit any blog niche. Stay up to date with all of BTemplates4u.com’ free premium blogger templates and blog posts by subscribing via email.Your email will be kept private and never shared with anyone. All of the free blogger templates by us are licensed under a Creative Commons Attribution 3.0 License, which permits both personal and commercial use. you can use any themes you want and keep the footer links intact which provides due credit to its authors and designers. www.btemplates4u.com is licensed under a Creative Commons Attribution 3.0 Unported License.